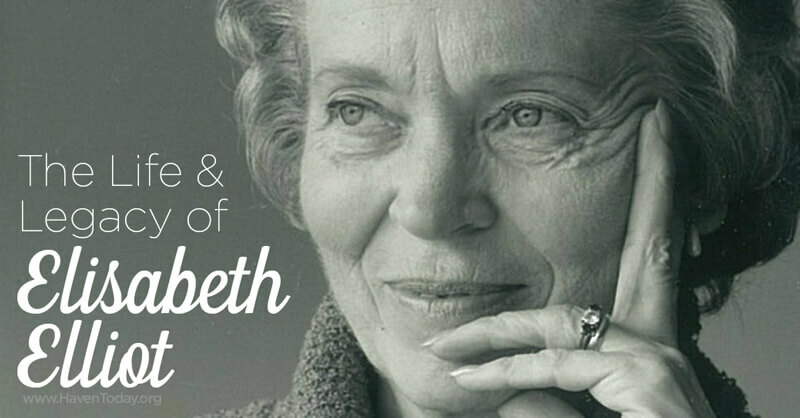 Editor’s Note: This post was originally published here on June 22, 2015 shortly after Elisabeth Elliot went home to be with the Lord. Jesus can be intense. And following Him is a serious business. Jesus says that spreading the Word, the key to the door of eternal life, is more urgent than anything else: friends, home, money, safety, and even family. This man’s father was probably still alive, so the man is saying he needed to take care of his family before he followed Jesus. Jesus’s response? It’s me or him. Now or never. Last week, a woman who followed Jesus with this kind of importance and urgency and whole-heartedness, fell asleep and woke up wearing a crown at Jesus’ throne. 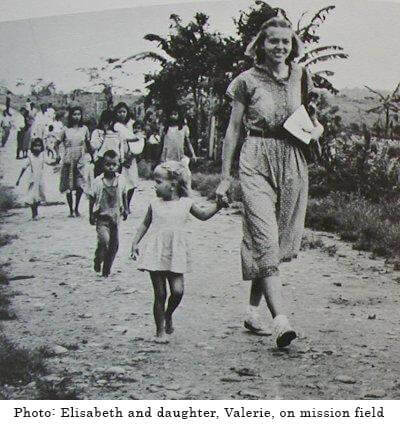 This woman was Elisabeth Elliot, 88, famous for being the wife of one of the five missionary men killed in Ecuador in 1956 by a hostile Indian tribe. 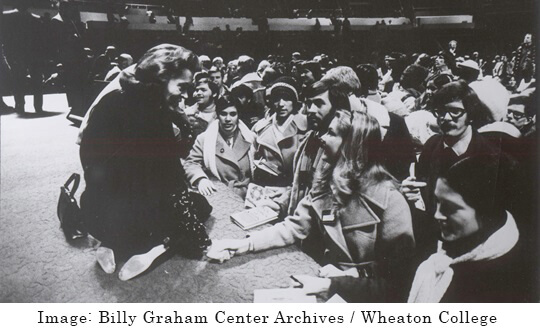 Born in 1926 to missionary parents, Elliot grew up in Pennsylvania and New Jersey, then studied Greek at Wheaton College in Illinois with the hope of translating the Bible into unreached languages. 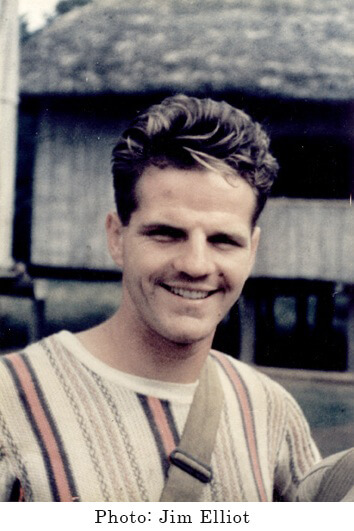 She went to Ecuador and then married Jim Elliot in 1953. Together they worked to reach the Ecuadorean Quichua Indians as well as the Auca tribe, a stone-age people, with the gospel of Jesus Christ. When Elliot and four other women heard that their husbands were speared to death by the Aucas, they met the news with serenity: “No tears could rise from the depth of trust which supported the wives.” These wives met their widow status with unfaltering faith in the Lord and His ways—and even, amazingly, with joy that their husbands were deserving of their entrance into glory. Elliot returned to the tribe with her infant daughter, Valerie, to live among them for two years and continue the mission work to the Aucas, now known as the Waodani. She then worked with the Quichua people of Ecuador before returning to the United States, where she spoke and wrote more than 20 books. Through Gates of Splendor has become a bestseller and seminal Christian work, having seen five editions with translations in many other languages. Later, Elliot married Addison Leitch, professor of theology at Gordon Conwell Seminary, who died in 1973 of cancer. She then married Lars Gren, who survives her along with her daughter, son-in-law, and eight grandchildren. Many became believers because of the story of the five missionaries who thought it worth their lives to save the Aucas. And many more have spent their own lives in mission work, inspired by the story. Does that mean that their deaths were worth it? While it’s true that, as the theologian Tertullian wrote, “the blood of the martyrs is the seed of the church,” Elliot challenged her readers to not seek a quid pro quo from the Lord of the universe. God is God. If He is God, He is worthy of my worship and my service. I will find rest nowhere but in His will, and that will is infinitely, immeasurably, unspeakably beyond my largest notions of what He is up to. Lindsey M. Roberts spent years writing exclusively for secular journalism, including such outlets as The Washington Post, Architect, and Gray magazine, before she first tried to write about Jesus. She’s thrilled to explore in words how everything from cleaning the kitchen three times a day to delighting in the maritime history of Nantucket is an opportunity to meet and glorify God. Lindsey lives with her husband, a pastor and U.S. Army Reserve chaplain, and two children in Virginia.